I will no longer abuse thee! The future is a collection! All fruits WILL be eaten! My harvest will make my own daily bread of life. Sent my people to chambers we invent HELL! Do the good for which I was meant! Reward lying within that good uplifting inner feeling! I’m rising, I’m rising, I’m rising…! Oluwadolapo meaning “The Lord has poured (things of) substance together” is an embodiment of her name. Her poetry speaks of her inner experiences, either thought out or lived through. She writes in the hope that her words connect with another’s inner self and begins a deep inner reflection that will cause lasting change from the individual to the entire world. 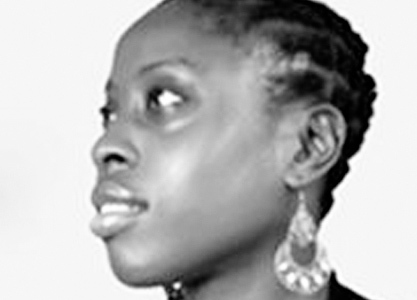 Dolapo’s spoken word delivery has been described as theatrical and deeply moving. Applying her background in music, dance and stage acting into her live performances, she does not resemble one who only began this genre of artistry in August, 2010. Born to yoruba parents as Oluwadolapo Ebunoluwapo Ogunwale in the city of Lagos, she hopes to find listening ears and open hearts on the world stage.